I have fond memories of being a blissfully ignorant twelve-year-old critiquing the fashion choices of the film and music industries' elite at red carpet events day in and day out. It was ridiculously facile and scarily reductive in hindsight. Having been exposed to the richness of Vanessa Friedman or Robin Givhan's red carpet dissections, as well as high-brow fashion criticism, I have a renewed interest in the field. The art of dressing up has, obviously, appealed to me and analysing it now, I discover depth and nuance which make it all the more interesting to discuss. As many of us prepare for end of year exams, push towards end of quarter, prepare for the forthcoming summer, the film industry descends upon the ritzy Cannes, France for the annual Cannes Film Festival, perhaps the most highly regarded, exclusive film festival in the world. 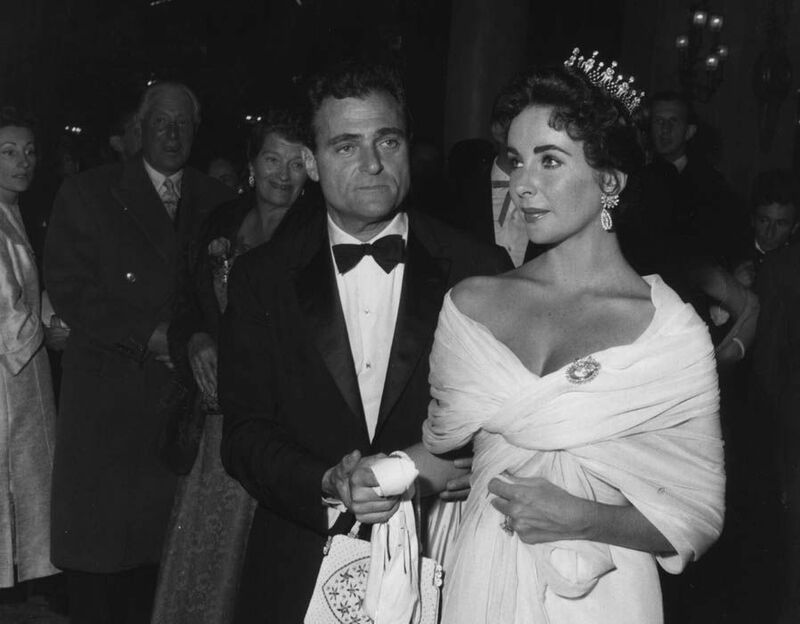 As a former red carpet fashion blogger, Cannes was flagged on the calendar as the most important social event of the season. Enriched by frothy ball gowns on lithely-crafted models and celebrities, highly skilled craftsmanship and emphasis on extravagance, the film festival provided an endless stream two weeks of couture dresses to discuss. There was a melange of anticipation, excitement and apprehension as each representative took to the carpet at the Palais des Festivals or at parties in the nearby town of Antibes. Unsurprisingly, there is a business of fashion at the festival. Brands establish camps in lavish hotels on the La Croisette where stylists to the über rich arrive to select outfits for their clients' engagements, of which there are many. Needless to say, hundreds of thousands of euros are spent on hiring impeccably-tailored gowns for a few hours... that's not to mention the jewellery. This goes hand in hand with influencer culture's presence in the industry, proving Cannes to be a microcosm of the industry. The Chiara Ferragni and Aimee Songs of the fashion industry have film industry counterparts. Every year, noticeably ersatz and often intentionally attention-grabbing outfits emerge from the stylists of "starlets" such as Hofit Golan and Lady Victoria Harvey. Neither of them are esteemed actresses but rather they want their photograph to be taken. It's a business unto itself and there is undoubtedly a place for it in the film/fashion food chain; this is evident as they constantly reappear, each time bringing with them a new offbeat concoction which will attract headlines. It's a two-sided argument: on one hand you have it degrading the exclusivity of the event with their appearances' less-than-polished expression but on the other you have two women who express themselves proudly and unabashedly and want to be part of something--there's honour, respect and admiration to be found in that. The case against influencer culture is strengthened by the use of the red carpet for political statements. One recalls Salma Hayek in 2014. She was present at the festival to participate in talks on women in film for Kering, her husband's conglomerate and she graced the shutterbugs in a fuchsia dress by Gucci. However, it was not the elegant number which caught attention. 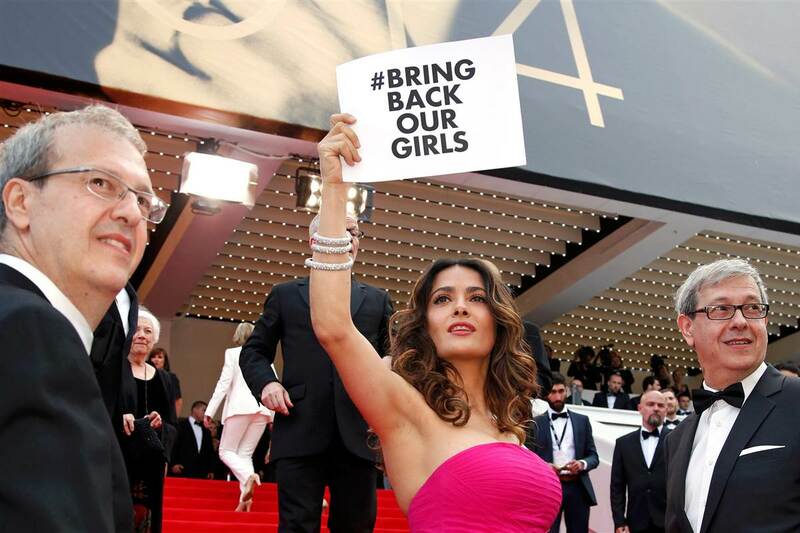 It was the sign she held up on the famous steps, it read: Bring Back Our Girls. It was of course referencing the campaign for Nigerian warlord Boko Haram to return 300 abducted schoolgirls. Red carpet activism has proliferated in recent years with the Livia Firth-spearheaded Green Carpet Challenge campaign, the sporting of blue ribbons for the ACLA initiative "Stand with ACLA" that dominated this year's Academy Awards. Planned Parenthood were also advocated for by Hollywood's elite at this year's ceremony. I expect to see defiance from starlets this year in response to the racist ideologies of Marine Le Pen, French President Macron's opposition in the campaigning stages, and the infamous and impeachable President Trump who has drawn ire globally during his five months in office. It might come off as moronically pretentious but the state of the fashion industry is reflected on the red carpet. It's metaphorically a sign of the times with the industry's strength or weakness exposed to the world. (Fashion critics often forget the pervasive effect of red carpet imagery and how it saturates women's weekly titles and daily newspapers. It permeates popular culture, unquestionably.) In recent years, the festival has been unable tantalise or excite in any way. Simply put, the design reeked of mediocrity: cheap tailoring, poorly constructed garments and all around aesthetic discord, the clothes couldn't match the opulence or might of recent years. However, judging from the opening ceremony 2017 is set to be a good year. It has been energised by red carpet mavericks Jessica Chastain and Fan Bing Bing (the actress are also members of the jury--the judging panel which will select the Palme d'Or) and newcomer Elle Fanning. They usher the state of red carpet fashion from darkness into light, with the dawn of a new era in Cannes. Similarly, the fashion shows of late have been of higher quality. There is a general shift in mood, whereby the tumult of the world has compelled creatives to truly push boundaries. One may find the comparisons between the film and fashion industries surprising, although they are clear and precise in their similarities: both value exclusivity but also rouse debates over inclusivity vs exclusivity, is it right to only employ Insta-stars for marketing campaigns, are influencers deserving of their position; both are intended to be representative of the times. If fashion shows are deemed haughty, in a league of their own, the red carpet is it expressed in layman's terms. It simplifies the trends and presents them to the world in memorable ways--or at least that's what they aspire to do. Furthermore, it's purpose is to inspire and for the first time in forever, Cannes has given the world something to be inspired by, to aspire to. Just like old times.